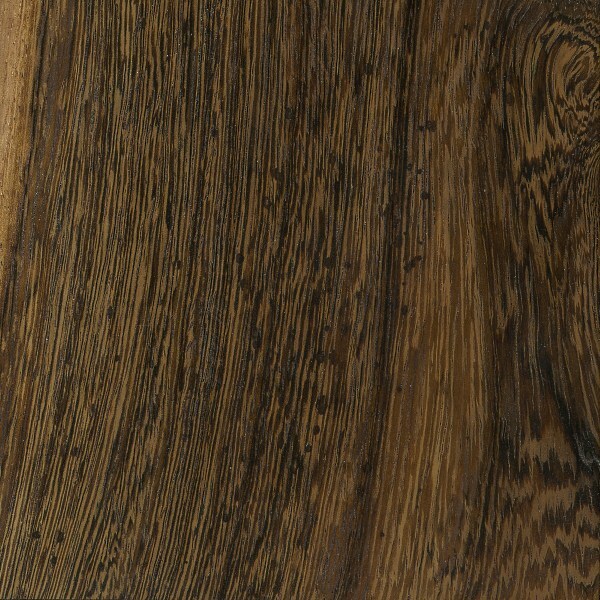 Color/Appearance: Heartwood is a medium to dark brown, to nearly black, with ligher brown contrasting stripes, sometimes with a red or yellow hue. 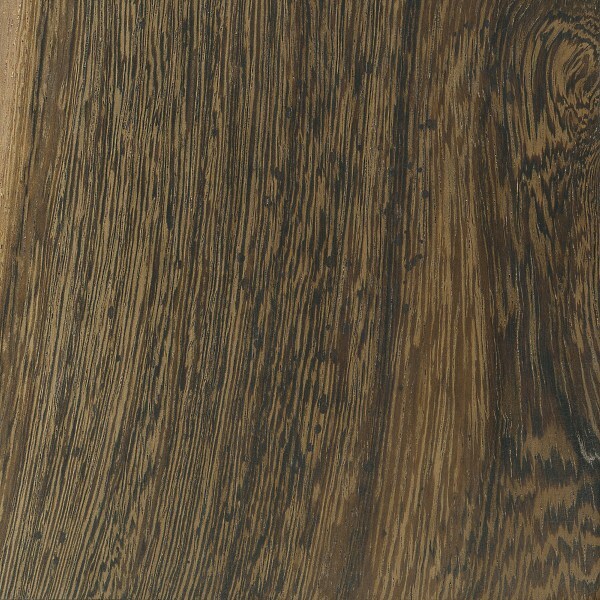 The striping is due to very wide parenchyma bands, which can give it an appearance somewhat similar to Wenge, though Pheasantwood’s stripes tend to be lighter and with better contrast, especially once a finish has been applied. 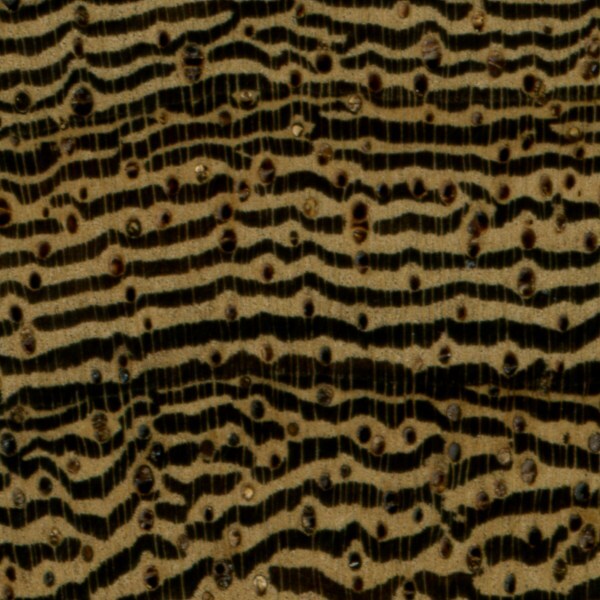 Endgrain: Diffuse-porous; large to very large pores in no specific arrangement, few to very few; solitary and radial multiples of 2-3; reddish brown gum deposits abundant; parenchyma confluent, with wide bands of parenchyma typically as thick as the pores; narrow rays, spacing normal. Rot Resistance: Rated as durable, though susceptible to insect attack. Workability: Produces moderaately good results with hand and machine tools, though Pheasantwood has a high cutting resistance, and also produces a pronounced blunting effect on cutters. Glues, turns, and finishes well. Allergies/Toxicity: Cavities within the wood can sometimes contain a powder that causes eye and skin irritation, as well as skin discoloration. See the articles Wood Allergies and Toxicity and Wood Dust Safety for more information. Pricing/Availability: Reported to be rare, and not commonly available. Usually only available as small turning squares and short lumber. Expect prices to be in the upper range for an imported hardwood. Common Uses: Musical instruments (ukeleles and guitars), turned objects, carvings, and other small specialty wood items. 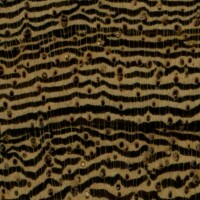 Comments: So named for the wood’s resemblance to the coloration and patterns found on the tail-feathers of pheasants. 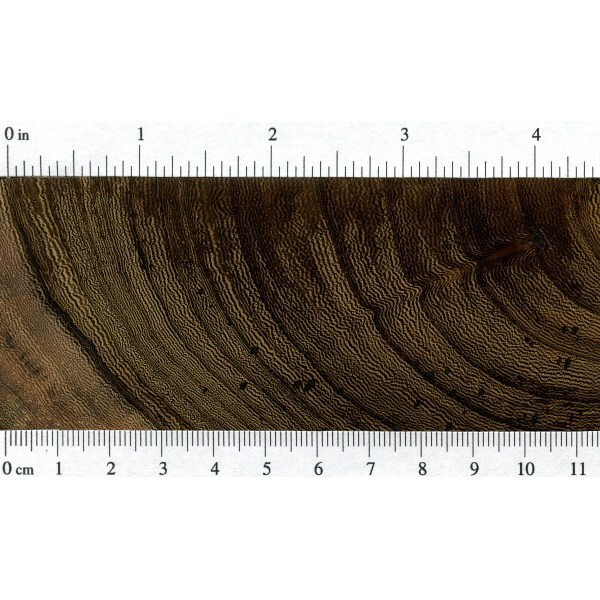 Pheasantwood exhibits the most figure on flatsawn sections of wood. Why is this wood so hard to get but is planted vastly? Does this wood warp and check a lot with drying? I have some pieces that I really want to turn, but not sure of how dry it should be first. 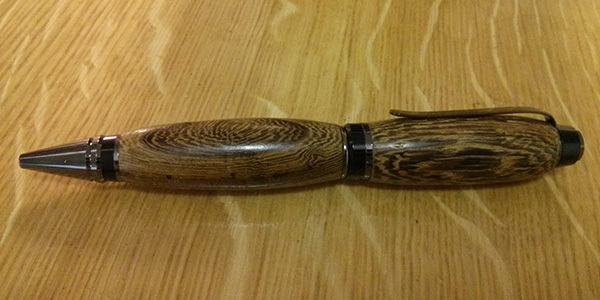 Is this more like black and white ebony, which wraps and checks very badly, or more like desert ironwood, which doesn’t move at all? Your Pheasant Wood is almost certainly jichimu, a Chinese hardwood also known as Chicken Wing or Phoenix Tail Wood because of its usual signature feathery, colorful grain similar to some chicken and pheasant plumage. There are two kinds, old and new. You seem to have a cut of the new, which is still available but less desirable because it is coarse, straight, rigid and therefore apt to break with unclear, dark purplish-black straight grains. The furniture shown, on the other hand, appears to be of old jichimu, one of the three most prized Chinese hardwoods for furniture, in particular antique. Old jichimu is said to have been out of use since the Qing Dynasty (1644-1911). The Chinese tariff alone for a piece of jichimu to a Most Favored Nation is $300. 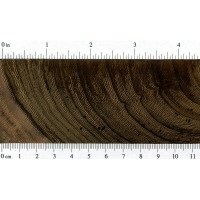 Finding a price on the wood itself is difficult, but one site lists it at $3/4.2kg with a min. order of one ton for home deco use. 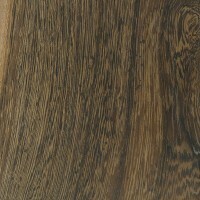 Jichimu is indigenous to Hunain Island and is rare, and also is considered one of China’s three most precious hardwoods. It is often confused with Wenge, which you have on your site. I’ve been doing research for a guest blog on real jichimu smoking pipes. Robert, I think you’re mistaken there. I’m here in Thailand and have a good portion of this wood in the shed, almost ready for use. Also, you’ll find it in the Hawaiian islands, where it is sold for premium prices. Although these trees are fairly common in SE Asia and are often planted as decoration in gardens and along roads, good lumber is rare because these idiots here are using it to make charcoal or bang nails in it, all over the tree, which makes it impossible to process in a mill (so, make charcoal of it!). If one is lucky, a well treated tree can be found with some searching around. I found one that soon will be harvested and turned into lumber of decent dimensions. After drying, I might put it up for sale or use it in some nice projects.